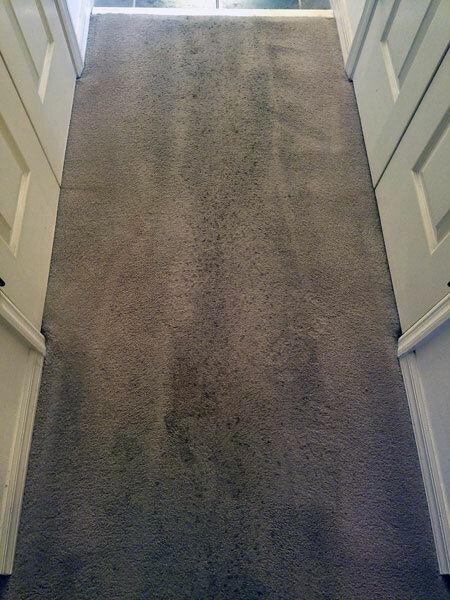 These before and after photos were taken during a residential carpet cleaning in Tampa FL. Only the best carpet cleaner can resurrect worn and heavily soiled carpets. This traffic lane was extremely rough. The carpet had gotten so much soil in it that it started to get matted and curled. 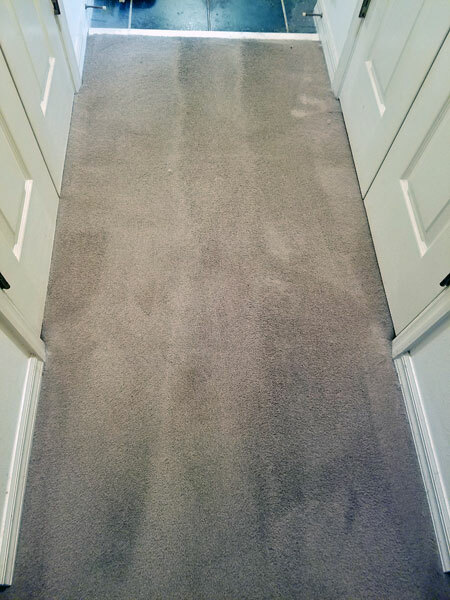 In Tampa FL we have a real problem with fine sand particles getting into the carpet and prematurely wearing the carpet fibers. Even with regular vacuuming the sand is difficult to remove. The best carpet cleaners use hot water extraction to remove this fine particulate sand, but even that has it's limitations. At Chem-Dry of Tampa we have a solution to this type of problem. It's called hot carbonated extraction, and its similar to steam cleaning but adds carbonation to the cleaning solution. A hot carbonated cleaning solution is the best carpet cleaner for removing tough soil and spots from high traffic areas in your home. Millions of tiny little bubbles heated to one hundred and eighty degrees explodes the sand from deep down in the carpet allowing it to be extracted during cleaning. Chem-Dry uses a proprietary carbonated cleaning solution called The Natural and it's the best carpet cleaner used by carpet cleaning professionals. Heavy traffic are no match for our hot carbonated extraction cleaning process. It allows us to take on the toughest cleaning jobs with excellent results. This home owner said that we charged to little for the service we provided. She was amazed at how we were able to bring her carpet back to like new condition. If you need the best carpet cleaner in Tampa FL call Chem-Dry of Tampa.